Cryptocurrency is a virtual, decentralized digital cash generated as a medium of exchange. It a replacement for the fiat currency. The term "crypto" in cryptocurrency is taken from cryptography for verification and security purposes during transactions. This is also called as Peer-to-Peer Electronic Cash System. Bitcoin is the first blockchain-based cryptocurrency, which is most valued and popular. Today, there are thousands of cryptocurrencies available in the market with various specifications. Some of them are clones of Bitcoin and others are new cryptocurrencies that are part of the existing ones. Why do people want bitcoins? Who can take up bitcoin course? Bitcoin or BTC is an online financial system or a digital currency. These are often known as virtual currency or cryptocurrency. Cryptocurrency is an exchange of digital information that allows you to buy and sell goods and services. These also follow similar transaction rules like cheques, cash and DDs but, bitcoins are not visible (fiat currency). bitcoin has created a lot of buzz for past several years around the globe. In India, after demonetization, bitcoin has completely changed the vision towards virtual currency. After dramatic economic events that occured in US, the view towards cryptocurrency has changed. For example: we need to send money (foreign exchange) from India to the U.S.A. we use services like PayPal to send money or our bank wire transfer service. To understand this better we need to know what exactly currency means. Government created money is known as “fiat currency”. It will have official authorization. To know how BTC is generated we need to have some knowledge on cryptography. Cryptography: The process of converting plain text into Cipher (unintelligible) text and vise versa. Earlier, cryptography was effectively with encryption but now, cryptography truly based on computer science, and mathematical functions. Cryptography is applied in banking sectors for transactions, e- commerce transactions, credit or debit cards, and computer passwords. Are you interested in taking up for Bitcoin Training Online? Enroll for Free Demo on Bitcoin Training! Bitcoin is a digital currency or cryptocurrency, so there are no coins or printed papers. It is decentralized, which means no government, financial institution, or any other authority have control over it. The persons who own bitcoins are anonymous—there are no names, social security numbers, account numbers, or any other identifying features that can connect bitcoins to their owners. bitcoin runs on Blockchain technology and encryption keys to connect the sellers and buyers. bitcoin can be “mined” like gold. Bitcoin is known as “cryptocurrency” as they are digitally earned using mathematical techniques based on elliptic curves. 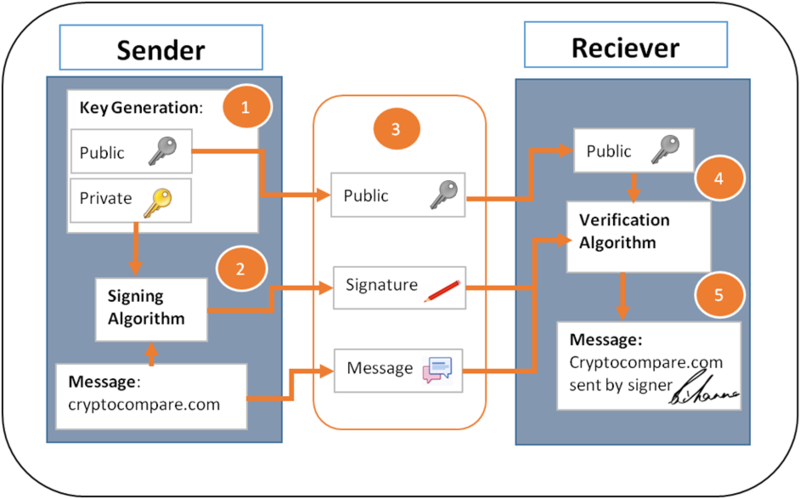 Each user of the system generates a pair of keys: a private key and a public key for digital signature. These keys are mathematically related to each other. Encryption: If Alex wants to encrypt and sent a short message to Louis, Alex uses Louis public key for encryption, and then Louis uses his private key to decrypt the message that he received from Alex. Digital signatures: If Alex wants to digitally sign a short message and send to Louis, Alex uses his private key to generate a signature, and then anyone who knows Alex public key can evaluate the digital signature as it can only be produced by someone who knows Alex private key. In the case of the bitcoin ledger (Blockchain), every transaction that is not spent as output (UTXO) is generally combined with a public key. If Alex has an UTXO combined with his public key, and he wants to send the money to Louis, then Alex uses his private key to sign his transaction and spends the Unspent transaction output, creating a new UTXO associated with Louis public key. Till today, the founder of bitcoin is a mystery. A paper was published on “Cryptography mailing list” under the alias name “Satoshi Nakamoto“ in the month of October, 2008. Till date, the real identity of Satoshi Nakamoto is not known. In the month of January, 2009, the first free source bitcoin software was released and the first bitcoin was issued. The method of finding bitcoin is named as mining. Mining of the first block of bitcoin known as genesis block rewarded 50 bitcoins. Bitcoin was the first cryptocurrency (digital property) that can be used like currency to exchange digitally and is protected with cryptography . There are other versions of cryptocurrency launched but, bitcoin has reached into the public by 2009. The anonymous Satoshi Nakamoto might be an individual or a group) whose identity is not disclosed. The goal of the unknown as to bring technology to create “virtual currency” that is completely decentralized with no central authority. In 2010, around 10,000 bitcoins have been marketed. If they would not been marketed the the value of bitcoin would be a worth more than $100 million today. In 2011, Nakamoto shared the domains and source code with the bitcoin community and from then there is no news from him/her. Bitcoin is usually a file which is stored in a computer or smartphone in the form of 'digital wallet' app. People can send, receive, store bitcoins in digital wallet with a unique address generated by bitcoin software for each transaction. Every transaction is recorded in a public ledger called “blockchain”. Through blockchain it possible to track the transaction history of bitcoins to avoid over spending of coins. Before you learn how to earn bitcoins you need to know what is mining?. The process of extracting bitcoins from a block of network is called bitcoin mining. As we all know printing of the currency is done by central banks, bitcoins are also mined on the network (Internet). For example, mining of gold in several areas, similarly to mining bitcoin on the internet. As gold mining is energy intensive and costly, bitcoin mining is also too intensive since it is limited and rare to find. Each bitcoin varies in design and protocol. The gold is mined by gold miners, similarly bitcoins are also mined by miners and the mining process will add new bitcoins. New bitcoins are generated only when the miners mine bitcoin blocks that are accepted globally. After successful mining, they earn new bitcoins as block rewards. This process is same as lottery because winning of new coins happens only when miners guess the right one. Nonetheless, it's not random or simple guesses. Person who is highly educated and has ability to take constrained guesses is preferred. Every guess is even tested, and a considerable amount of energy and time is spent on it. Even after testing and spending lot of time and energy, most guesses fail. Other than that, for every 10 minutes, a miner in the world succeeds in guessing. That means, the miner has guessed a valid block. Before getting the correct guess, he may have tried making several attempts burning loads of energy. After successful mining, he receives a blockchain reward in the form of bitcoins which he can sell or trade online at current market price. 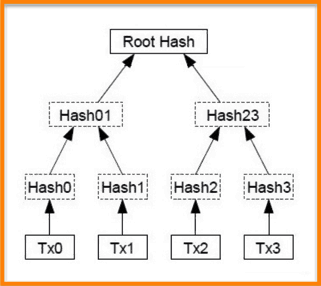 Bitcoin Hash Function: Bitcoin uses the SHA-256 algorithm that accepts input each time and generates an output of fixed length. The output generated is referred to as bitcoin Hash or hash. Merkel Tree and Merkel Root: Merkel tree represents a hashing tree whereas the last hash of tree is called the root hash or Merkel root. Bellow is the graphical representation of bitcoin block tree. Target and Difficulty: These are the features of a bitcoin network. Target is a 256-bit input (extremely large input), and is obtained by hashing the last block’s header in a particular method that all clients of bitcoin have equal difficulty in measuring and find a hash which is nearly equal or below the given target. The speed of hashing is measured in hash rate. bitcoin Nonce: It is a 32-bit (4-byte) input of SHA-256 hash function whose value must be set in such a way that the hashed output should include zeros which are equal to or less than the target. This is required for a minner to generate desired output. For example, let’s know how a miner wins a lottery. To mine a block containing bitcoins successfully, the miner needs to hash the block’s header equal to or less in number than the “target”. 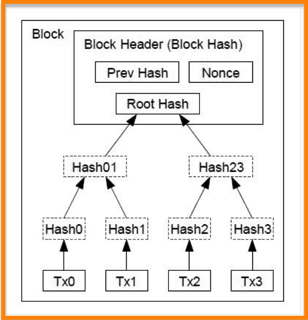 By hashing all the transactions in a block, the block header is created forming Merkel tree with Merkel root. Later, this root is combined with a nonce and a hash of the latest block. Finally, this raw data of Timestamp + Merkel Root + Nonce + Previous Hash is given as input to SHA-256 function to generate a particular hash output as per the target. Understanding bitcoins: Bitcoin is a cryptocurrency. The currency that can stored and exchanged between peers virtually. The bitcoin is transferred from one computer to the other computer and all the transactions are verified by Blockchain. Setting Up a Wallet: This step involves the process of installation of "Wallet" software. This wallet will function similar to real wallets that we use to store all our currency and in this case, the currency are bitcoins. Test Your New bitcoin Wallet: It is a step to test whether the wallet software is working or not. We are supposed to generate wallet address to send and receive bitcoins. To test, paste the generated bitcoin address in the middle of the application and uncheck the Delay payment check box option, enter the captcha and click on send button. If the transaction is successful, open the wallet and we can see the bitcoins we have earned as reward for installing wallet software. This is the way we can earn money, but is a very slow process. Solo mining: In this type of mining, any person can mine bitcoins with the basic hardware requirement and it would take several years to earn a real bitcoin. But once we succeed, we can earn a reward of 50 bitcoins. So, it is not instructable. Pool mining: This is the generally a method for mining. It is done by signing up an account with any one of the companies. By using their hardware and software, a group of people together put their mining efforts through the computers within the network. Each person within the group earns few bitcoins, might be in decimals of a bitcoin. Setting Up a Mining Account: There are different mining pools available in the market, and the commonly used is BitMinter. It is user friendly and easy to use. It comes with in-built software making mining much easier. Setting Up the Workers: Computers connected in the network require their own worker to get integrated to the BitMinter server. The software installed on each computer will be linked to other worker so that, the BitMinter server will not face any trouble while transmitting or receiving mining work. Click on "Free Java Download". Click on "Agree and Start Free Download". Depending on the operating system, version of the file will be download. Follow the instructions carefully to proceed the installation process. Click on finish button once the installation is done. Continue to the next step to set up a miner. Set Up a Miner: To set up a miner, we need java web starter. After installation, click on the "Engine Start" button, and then Java web starter downloads the actual program. After downloading, install the miner setup. Mine: In this step, multiple systems are connected within a network and work simultaneously applying various mining algorithms to extract bitcoins from blocks. The mining technique is applied whole night as the blocks have increased availability. Spend Your bitcoins: bitcoins can be spent on many virtual platforms in place of fiat currency. The are many ways to spend bitcoins namely investing, foreign exchange, gambling, speculations, stocks, and payments of products. Other than mining, bitcoins can be earned by other methods. Firstly, people should accept bitcoins as payment method for products, goods, or services. bitcoin wallet can be installed same as PayPal or any other payment gateway account and it’s the only method to store bitcoins, and track the spending digital money. Coinbase is a free provider of bitcoins. Once the bitcoins are free, there are many ways to lend and earn interest. There are also other methods to earn bitcoins like trading, stock exchange, etc. Bitcoin (BTC) can be virtually spent. To spend cryptocurrency, the virtually generated address has to be verified and digitally signed. The generated address is digitally encrypted with long lines of security code using 16 distinct symbols. Then, the buyer decodes it with the smartphone to get your cryptocurrency. The transactions are secure and trustworthy as they are running on a peer-to-peer computer network that is similar to file-sharing system, Skype, or BitTorrent. Though mining bitcoins is too risk but, a great opportunity to gain bitcoins. Due to the lack of regulation, criminals take advantage of bitcoin because of its anonymity. Since it is decentralized, it is difficult to resolve issues if bitcoins are lost or stolen. Irreversible: Once the transaction is confirmed, it can‘t be reversed. No one can reverse the process as it is virtual and decentralized. Once the money is sent even for a wrong wallet address, no one can help you. If you share your wallet address or send your funds to a hacker, he will steal all your bitcoins stored in the wallet as there is no safety on the internet. Pseudonymous: Either the accounts or the transactions are not connected to real world identities like banks or government undertaking organisations (post offices). bitcoins are received with randomly generated addresses which are combinations of about 30 characters. We can only trace or analyse the transactions that are done using same wallet address, otherwise they are invisible. Fast and global: Transactions through bitcoin wallets are propagated instantly on the network and are done in a few minutes. Since, transactions happen on global network, computers are required but not the physical location. Example: Location of sending bitcoins is not a matter. We can send bitcoins to our neighbour or to other side of the globe. Secure: Bitcoin transactions are safe and secured as they are recorded on public ledger “blockchain” through public key cryptography system. Only the receiver of the corresponding private key can send cryptocurrency. Strong cryptography algorithms like digital signature and encryption methods are implemented and the combination of 256 bits is impossible to break. A bitcoin wallet address is more secure than Knox. Permissionless: To generate or earn cryptocurrency, we need not take any permission. It is a software that anyone can download. After installing the software, we can store, send, and receive cryptocurrencies. There is no gatekeeper to prevent you from earning. People can spend their bitcoins fairly without disclosing their identity. Even though all transactions are recorded on public ledger, nobody would know the account details until we disclose. The following are main ways through which people can earn bitcoins. You can sell things and let people pay you with bitcoins. They can be created using a computer. You can buy bitcoins using 'real' money. Encrypt the wallet and backup the wallet regularly, and on smartphone, protect the with a password. Unfortunately, don't use keylogging software or hardware. To add additional security to bitcoins, store some of them in an offline wallet which is not connected to the network. Same as saving in banks, usually we take only some amount to store in the wallet. Constantly update the wallet software for additional protection. The multi-signature feature allows independent transactions to spend a bitcoin. Payment Freedom: Payments through bitcoins are easy and free to use. They can be transferred across many continents without mediators (third party). No boundaries or borders, payment limit, bank strikes or holidays can affect the bitcoin transactions. Minimal or low transaction Fees: Payments via bitcoin are very less and sometimes zero transaction charges apply. The transaction charges depend upon how quick the transaction must be. A person has to pay the transaction charges if he/she wants the transaction to get completed quickly. But, these charges are very less when compared with digital wallets like paytm, mobikwik, and freecharge. Fewer risks for merchants: Bitcoin transactions are safe, irreversible, and they will not hold any customer’s personal information. This feature protects sellers from loss caused by fraudulent activities. Faster transactions: Bbitcoin transactions are very quick when compared with banking sectors. They are faster like emails and can be processed instantly within 5 minutes. Accepting transactions that aren’t confirmed by the bitcoin blockchain will have risk associated with it. These are called “zero-confirmation” transactions. The confirmed transactions will at least take 10 minutes to process. Credit Card or digital wallet services usually charge more to provide instant approval for the transaction services. bitcoin has very low transaction charges even though it is fast in terms of processing. Central governments have no control on bitcoins: The “Fiat currency” generated by the government holds the value and can be used until the currency is banned. The value of the currency earned is lost once the particular note is banned. The ultimate result is, the consumers lose their financial credibility and worth. This is not applicable for bitcoins. Government has no right to take back the bitcoins as it is decentralized. The maximum step a government can take is to ban bitcoin. But still, the bitcoins have some value in those countries or places where it is legal and thus, can be encashed. People can’t steal your payment information : This is the biggest advantage of bitcoin. All the online purchases today are made through debit cards, or credit cards requesting you to enter all the secret information like card number, CVV, etc, in web form. This is why debit card and credit card details are hacked by intruders regularly. But in case of bitcoin transactions, we need not disclose any of the secret information. 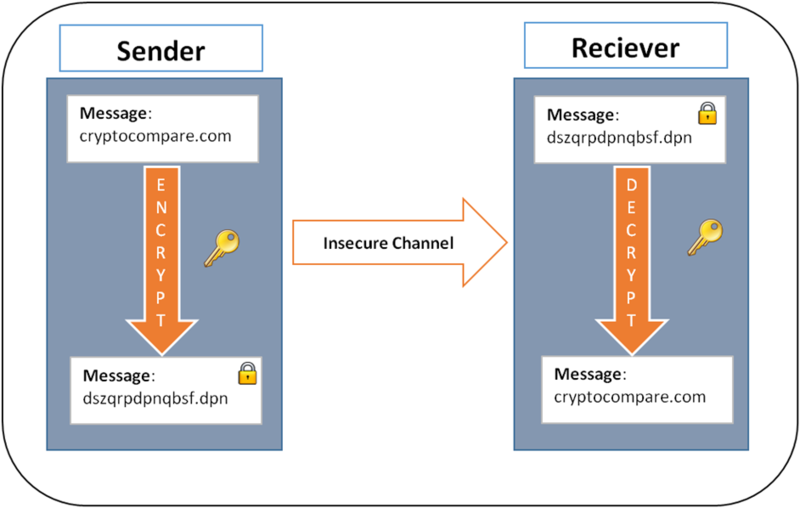 These wallet details are Instead generated either by encrypted or digital signature, and they use two keys for encryption: a private key and a public key. The public key, is the bitcoin address actually anyone can see it , but the private key is secret. To send a bitcoin, we need to apply a mathematical function with a combination of public and private keys together to ‘sign’ the transaction. The central government has a right to print its own money, In the same way, any person can also generate bitcoins for themselves. They can earn bitcoins through mining using basic computers connected to the internet. bitcoin mining is simple, we need to switch on computer and allow the bitcoin mining software to run. Following are some of the disadvantages of bitcoin. Degree of acceptance: Even today, many people are not unaware of bitcoin. Today, very few firms accept bitcoins. More firms should start accepting bitcoins in order to increase their mobility or fluidity. Volatility: The prices of bitcoins are highly uncertain as they increase or decrease at a faster pace. Speculators will take advantage of it where as genuine investors think its risky, and not all of them invest in bitcoins. Ongoing development: Bitcoin software has many features which are incomplete, but the software is in development stage. Once the services, tools, and features under development are available to people, it will make bitcoin mining more convenient, accessible, and more secure. Government Interference: As bitcoins are decentralized, the government has no right to take them away. But possibly, it can ban bitcoin across country that can affect companies that generate bitcoin wallets. It then becomes difficult to access the bitcoins as they are freezed in wallets. Deflationary: Bitcoin being evolutionary can add benefits to the economy. But one negative factor with bitcoin is it being deflationary. Once it gets into the hand of speculators, an immense recession occurs. bitcoins are limited and if the major portion is in the hands of investors or speculators, they will no longer release it in the market and will hold them. When the supply of bitcoin decreases and demand for it increases, the price of bitcoins also increases proportionately and then the speculators or investors gain benefits. Lack of recourse: If we lose bitcoin wallet, we will lose all the bitcoins stored in that wallet and we can't regain them. Once lost, it will be lost forever unless and until we have back up of the wallet through a backup code. The backup code can be used to recover the lost wallet balance. In contrast, if the debit card or credit card is misplaced or stolen, we can call the particular bank to cancel the card and put a request for a new card. But, this is not possible in case of bitcoins as we don't have any personal organisations (Decentralized) to report. Black Market and Money Laundering: In early stages bitcoins were used for lending money and black markets, and by people who don't want to disclose their identity and get payment secured without personal information. In money laundering, mediators would collect money from one person and transfer it to another person via bitcoins. Every one can take up this course with minimum knowledge on cryptocurrency and BTC: students from various fields, upcoming engineers, industrial experts, potential students with an open mind, etc. As it is global currency mining students of any age, from any country can take up the course as it is a practical session. BTC has entirely changed the view towards currency. There are many BTC mining job opportunities round the globe. We can expect that in coming years, BTC will be accepted globally. Every country's foreign exchange can be made simple and reachable with the help of bitcoin. To conclude, bitcoins have many benefits and drawbacks. Ultimately, it depends on society and people to use it in a right way to avoid economy crashes (Demonetization). Many developed countries like UK and US have been using bitcoins as Fiat Currencies. Japan also declared bitcoin as their official mode of transactions and implemented tax policies. Trading in Future gives new investors the hope to bet against bitcoin and also boost their liquidity (usage).